Explanation: Rising at sunset, the gorgeous Full Moon of August 31 became the second Full Moon in a month. According to modern reckoning, that makes it a Blue Moon. In fact, parts of the Full Moon do look a little blue in this sharp lunar portrait. Taken just hours before the exact full phase in delightfully clear skies over Nottingham, UK, it features eye-catching bright rays extending from the prominent young crater Tycho in the Moon's southern hemisphere. The slightly color enhanced image also brings out subtle shades of blue, a real characteristic of terrain with a high content of titanium oxide and iron. The blue lunar terrain on the right includes the dark flat expanse of the Sea of Tranquility and the Apollo 11 landing site. It was a Blue Moon night for me. I even hoisted a few to Neil. Looking at all those craters I can't help but wonder if any of them was meant for " us " but the moon took it ? Sorry to be sour, but the number of full moons in our arbitrary months is meaningless. <<Blue moon is the appearance of the third full moon in a season with four full moons. It is never really blue. The average lunar cycle is 29.530589 days, there are 365 days in a solar year, 365 divided by 29.530589 days equals about 12.36 lunar cycles in a solar year. In the gregorian calendric cycle, there are 12 months (the word month is derived from moon). In addition to those twelve months representing full lunar cycles, each solar calendar year contains roughly eleven days more than the lunar year of 12 lunations. The extra days accumulate, so every two or three years (7 times in the 19-year Metonic cycle), there is an extra full moon. Lunisolar calendars have rules about when to insert such an intercalary or embolismic ("leap") month, and what name it is given; e.g. in the Hebrew calendar the month Adar is duplicated. The term "blue moon" comes from folklore. Different traditions and conventions place the extra "blue" full moon at different times in the year. In the Hindu calendar, this extra month is called 'Adhik (extra) masa (month)'. It is also known as purushottam maas, so as to give it a devotional name. In calculating the dates for Lent and Easter, the Clergy identify the Lent Moon. It is thought that historically when the moon's timing was too early, they named an earlier moon as a "betrayer moon" (belewe moon), thus the Lent moon came at its expected time. Folklore gave each moon a name according to its time of year. A moon that came too early had no folk name, and was called a blue moon, retaining the correct seasonal timings for future moons. If the full moon was 100% at 13:58 UTC, and you took the photo "hours before", do you mean 12 hours before, or are you not in England? APOD Robot wrote: Taken just hours before the exact full phase in delightfully clear skies over Nottingham, UK. 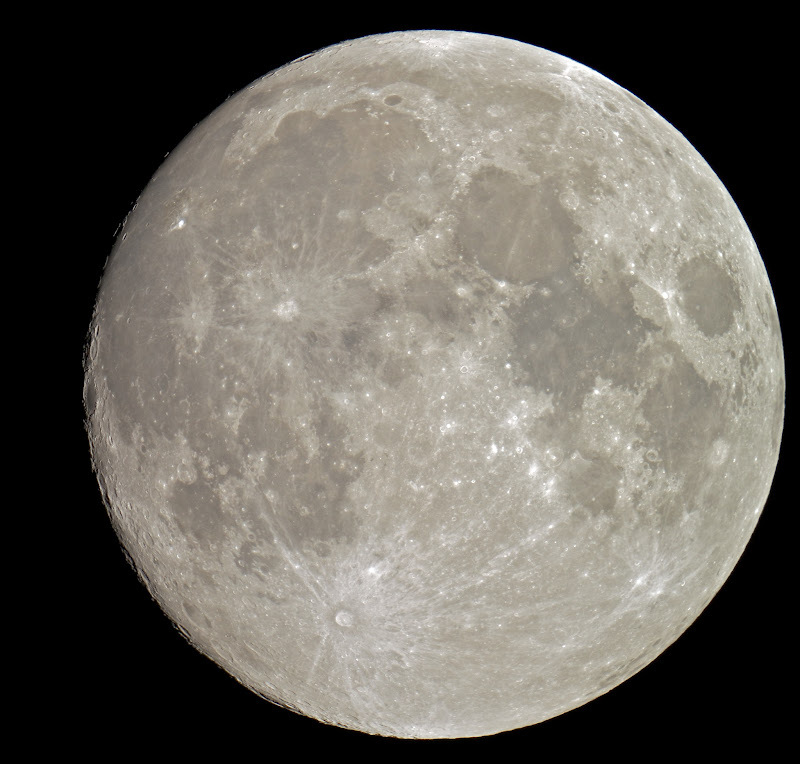 Guest wrote: If the full moon was 100% at 13:58 UTC, and you took the photo "hours before", do you mean 12 hours before, or are you not in England? Too bad only parts of it are blue! Ann would love it if the whole moon were really blue! I do like bystanders idea of a blue moon though! I do like bystanders idea of a blue moon though! I'm only slightly hoppy about it, myself. <<Blue Moon Belgian White, a Belgian-style witbier brewed in Golden, Colorado, was launched in 1995. MillerCoors does not actively advertise the fact that the brew is owned by MillerCoors, instead focusing on the Blue Moon Brewing Co. "
Witbier, white beer, bière blanche, or simply witte is a barley/wheat, top-fermented beer brewed mainly in Belgium and the Netherlands. It gets its name due to suspended yeast and wheat proteins which cause the beer to look hazy, or white, when cold. It is a descendant from those medieval beers which were not brewed with hops, but instead flavoured and preserved with a blend of spices and other plants referred to as "gruit". It therefore still uses gruit, although nowadays the gruit consists mainly of coriander, orange, bitter orange, and hops. The taste is therefore only slightly hoppy. Some weiss and hefeweizen beers are commonly served with a slice of lemon in North America. Blue Moon is traditionally served with a slice of orange, which its brew masters claim accentuates the flavor of the brew. In addition to their original Belgian White variety, Blue Moon Brewing Company offers Blue Moon Summer Ale, renamed Honey Moon in 2006. According to the bottle, "This ale beer is brewed with clover honey, orange peel, pale malt, and malted white wheat." During the autumn months, Blue Moon provides Harvest Moon in 2007. This variety contains the flavors of pumpkins and other autumnal spices. Blue Moon offers Full Moon with the subtitle "Blue Moon Winter Ale" in 2007. In spring, Blue Moon provides Rising Moon. I can't believe a 50mm lens took this! Can someone please explain how it was taken? This was taken prime focus thru my Celestron EdgeHD 800 CGEM, but then the exif data shows Focal Length 0mm when the lens are not there. ta152h0 wrote: Looking at all those craters I can't help but wonder if any of them was meant for " us " but the moon took it ? 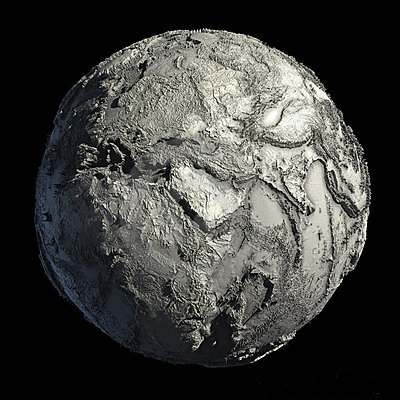 At the time those craters were being created, the Earth was taking many more itself, given its greater surface area and gravitational influence. The Earth sheltered the Moon from more impacts than the other way around! henrystar wrote: Sorry to be sour, but the number of full moons in our arbitrary months is meaningless. Not at all. Meaning is a human creation, and if we find a second full Moon in some month meaningful, so it is! mtbdudex wrote: I can't believe a 50mm lens took this! The camera was attached to a small refractor, 80mm aperture, 600mm focal length. You can't always trust all the EXIF values for an image taken with no lens on the camera (that is, no lens as far as the camera knows). Also, focal length is encoded in EXIF files in different ways by different manufacturers, so sometimes EXIF reader utilities get it wrong. The exposure time value is correct. I didn¨t know that there is a " Blue Moon"
A second Full Moon in a mounth. To my eye it looks decidedly gibbous. orin stepanek wrote: Too bad only parts of it are blue! Ann would love it if the whole moon were really blue! Well, it's a blue-haired Moon. You can see the Lady in the Moon here. The hair above her forehead is reddish - see today's APOD - but the hair over her temple in front of her ear is bluish. Again, see today's APOD. 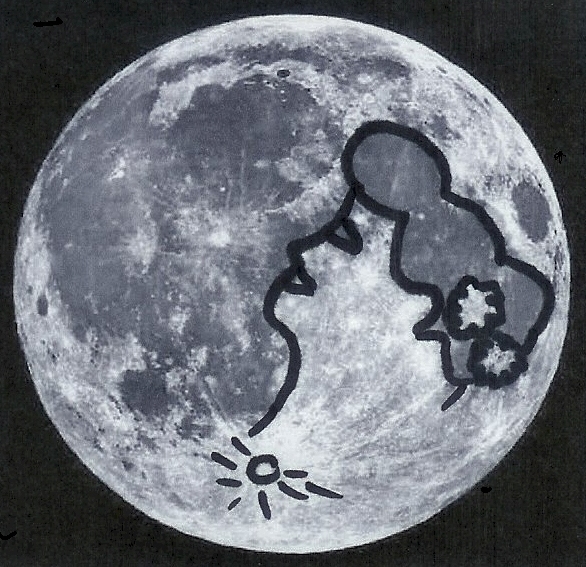 The Moon is an old blue-haired lady! 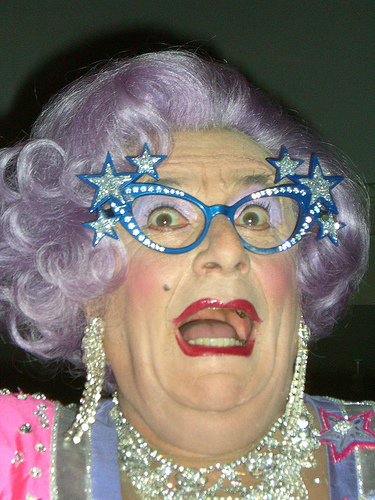 Ooops, that hair is violet, and the lady is Dame Edna! Too bad only parts of it are blue! Ann would love it if the whole moon were really blue! The Moon is an old blue-haired lady! Ooops, that hair is violet, and the lady is Dame Edna! But the sea levels are currently rising. ha-ha, Dame Edna and Blue moons. They're both not what they seem to be. It is a very nice picture but I'm confused as to where it was taken. The explanation states it was Nottingham, UK (United Kingdom). In the information with the picture in Simon's website it states "From the comfort of my sofa I could see the full moon rising from behind the nearby oak trees that line the hill I live on". However, in Simon's profile it states his location is Bristol, United Kingdom. It's only a minor point I know but it's unclear if the picture was taken in Nottingham or Bristol (those cities are about 120 miles apart). Very disappointed that you would continue a myth about what a blue moon is. Excalibur wrote: Very disappointed that you would continue a myth about what a blue moon is. What myth? The current usage of "Blue Moon" may be based on a 50-year old misunderstanding of earlier (but similar) uses, but language evolves as often through mistakes or misunderstandings as it does by any other mechanism. The point is, that is the current usage, and there's nothing wrong with it. There is certainly no myth. 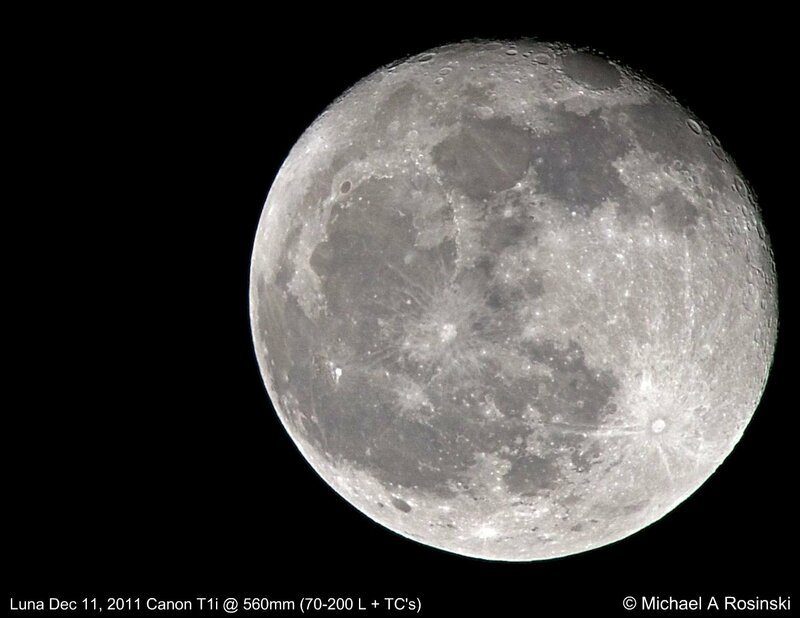 By modern definition, a Blue Moon is just what this APOD says it is: the second full Moon in a calendar month. I am also very disappointed to see the incorrect use of the term "Blue Moon"here on APOD. While language may evolve, definitions should not. A Blue Moon is the third Full Moon in a season that has four full moons. Period. Otherwise, they aren't rare - for example; both January and March of 2018 have two full moons. Hardly a rarity.